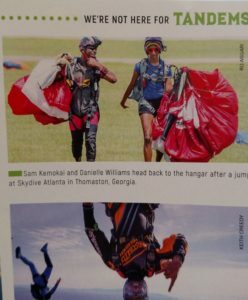 Skydive Atlanta is Georgia's top choice for tandem skydiving, tandem skydiing gift certificates, and solo skydiving certification. 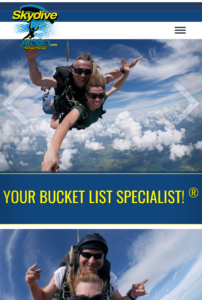 This week Skydive Atlanta launches its use of Burble manifest and customer management software. Used by hundreds of dropzones around the world, Burble is the leader in dropzone software. Since before our move to Thomaston, Georgia in 1998, we have used Skywriter manifest software. Starting with version 1, then switching to a highly customized version 2 in the late 2000’s. While Skywriter is free, it has limitations and the need to use several other different programs. The Burble platform is integrated with reservation booking platform, customer management, and dropzone management functions. In addition, the system is integrated with all other systems on the platform so jumpers have a consistent record across all DZ’s. The jumpers will be able to access their account at any time via mobile app and most helpfully see their reserve repack date expiration. The most frequent question jumpers ask is will they be able to self-manifest. At this time, jumpers will not be able to use the self-manifest feature, which is a feature best suited to large DZ’s running multiple aircraft. We hope this integration proves to be more efficient for staff and jumpers alike.